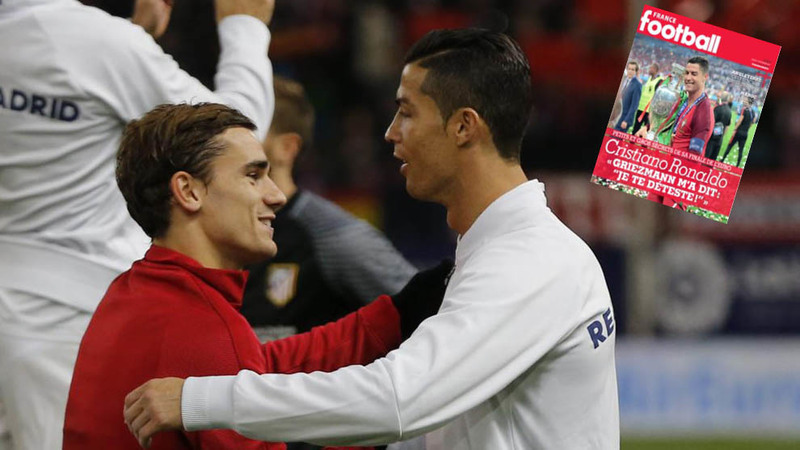 Winning both the Champions League and European Championship has made 2016 one of Cristiano Ronaldo’s most successful years in football, and the winger has spoken about the final of the latter, discussing a joke he shared with Antoine Griezmann some time after the game. A chance encounter with the Frenchman showed how their rivalry is a pleasant one off the pitch. “He’s my neighbour in Madrid, and last season, he played very very well and lost both times, but he’s a nice guy,” Ronaldo told France Football. “Shortly after the game, I saw him in a restaurant in Miami on holiday, having dinner with his girlfriend. Just 25 minutes into the contest, Ronaldo was forced to be replaced after suffering a knee injury during the match, but he feels Les Bleus were never in control of the game. “They were smiling a lot before the game,” said Ronaldo. Failing to have an impact on the game from the bench would have been tough for someone with Ronaldo’s ability, and the striker spoke of what it was like to be subbed off early. “It was the greatest punishment of my career,” he said. Despite the disappointment, Ronaldo is clear favourite to win this year’s Ballon d’Or competition, a feat that would put him level with Lionel Messi as a four-time winner.